The Ayyappa temple at Sabarimala Is One of The Most Popular South Indian Pilgrim Center. Every Year record number of pilgrimages are coming to the Sabarimala. Lord Ayyappa is the god in Sabarimala Temple of Kerala. Sabarimala is situated in Pathanamthitta District of Kerala Stated, India. Sabarimaal temple is situated in a hill area and reaching the temple is not so easy. Mandala Pooja Mahotsavam at Saabarimala Temple is from 16 November 2018 to 27 December 2018. Makara Vilakku 2019 Date is 15 January 2019. From here you can get the details of Reach Sabarimala temple, Festivals of Sabarimala, Sabarimala Map etc. 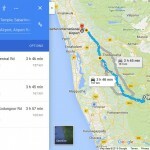 The nearest International airport is Trivandrum and around 173 km is distance between Sabarimala and Trivandrum International Airport. 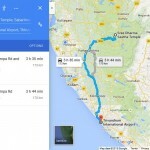 Kochin international airport is another nearest airport and its around 165 km away from Sabarimala. Nearest Railway stations at Sabarmala temple is Chengannur, Thiruvalla. Chengannur is one of the most popular railway station and majority of the pilgrims are using this station. From Chengannur Railway station KSRTC buses are available for Sabarimala. There are direct buses from Chengannur Railway Station to Pamba. KSRTC buses are available from almost all the major cities to Pamba. Majority of the pilgrims are using transport bus, other private vehicles for Sabarimala 2018 Pilgrimage. All the major malayalam television channels are telecasting special programs during the Sabarimala 2018 Pilgrimage. You can watch the harivarsanam every day night at kairali TV, Kairali We TV etc. Pooja timings, special pooja details and other Samarimala temple details will be air through all the major malayalam channels. Makaravilakku 2019 Live telecast will be available on DD malayalam channel, Surya TV, Kiran TV etc. We have published the complete lyrics of harivarasanam here. You can download the song lyrics hari varasanam from here.